You Are Here: Home > Why Buy From McDonald Hyundai? Visit McDonald Hyundai for a car-buying experience that will exceed all your expectations, as our Hyundai dealership in Littleton, CO, aspires to give every customer the outstanding service and care they deserve. We have an outstanding selection of new Hyundai cars, offer preeminent Hyundai service and repairs, and provide Greater Denver drivers with helpful Hyundai financing advice. As a proud representative of the McDonald Automotive Group, we’re in the business of helping community members drive home happy. We have a vast selection of new Hyundai cars and pre-owned Hyundai SUVs available to buy or lease. 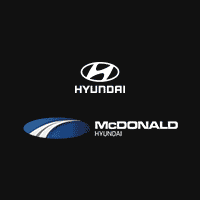 Test-drive a Hyundai Elantra or Hyundai Tucson at McDonald Hyundai. The McDonald Automotive Group gives back to the community through organizations like Wish for Wheels, a nonprofit that provides bikes and helmets to local children. We also support Bike MS: Colorado, and are a proud sponsor of the Colorado Rapids, Denver’s Major League Soccer team. Our Hyundai service center is open six days a week to try and cater to your busy schedule. We’re open Monday-through-Friday 7:00 a.m. to 6:00 p.m., and we’re even open on Saturdays from 8:00 a.m. to 5:00 p.m. Schedule Hyundai service here. Our convenient location offers easy access to drivers coming in from Denver, Highlands Ranch, Centennial and beyond. Whether you’re making you’re making your way across the Rocky Mountains or stopping in from nearby Littleton, we look forward to greeting you with a handshake and a smile!